Were married In Gore St, Fitzroy, Victoria, on November 30, 1875. The children were William, Charles, Herbert (Dally), Ivy, Willa (Wilhelmina), Ernest, Anne and Walter (Wally). Charles Amos was Champion sculler of Victoria. on the 14th October, 1911, at 135 Elizabeth St, Sydney. 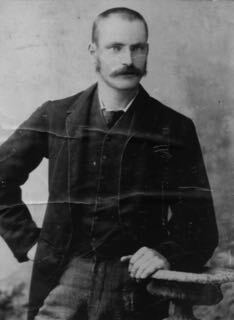 Dally was, by the time of this marriage, the revered superstar of Rugby Union and Rugby League. Annie, his wife, was a hotelkeeper. She owned the Albion, later the St James, Hotel at the corner of Market and Elizabeth Sts in Sydney. The couple later moved to a banana plantation in Buderim in Qld, and then, on July 12, 1917 took over the Royal Hotel in Manilla, NSW. Annie died in the bubonic plague (flu) of 1919 (June 23) before penicillin was created. She was 42 yeas of age (b. in Parkes NSW) . She is buried in the Roman Catholic Cemetery, Manilla, NSW. The couple had one son, Dally II, who was 5 years old when his mother died. Annie, a widow when she married HH (Dally), had a son, Cyril, from her previous marriage to William Macauley at Lucknow NSW when she was 19 years old. on Sept 1, 1922 at St Michael’s, Surry Hills NSW whom my father disliked intensely. (DallyII b. 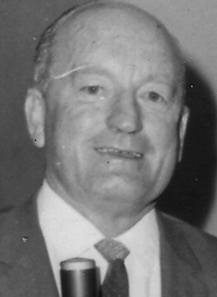 March 1914- d. Sept 29, 1984). 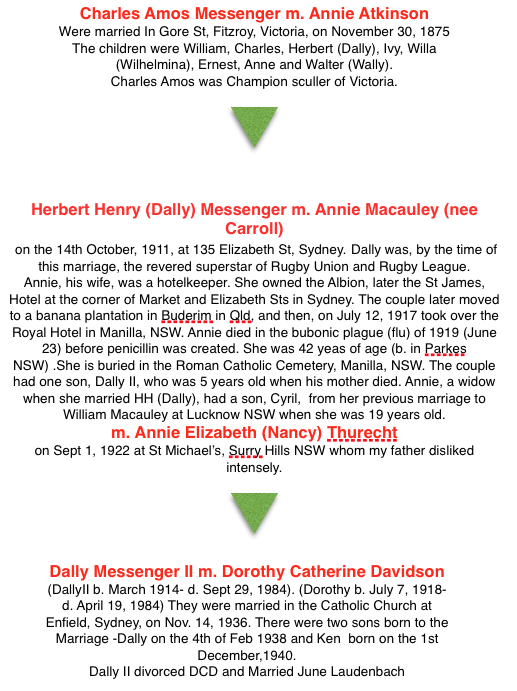 (Dorothy b. July 7, 1918-d. April 19, 1984) They were married in the Catholic Church at Enfield, Sydney, on Nov. 14, 1936. 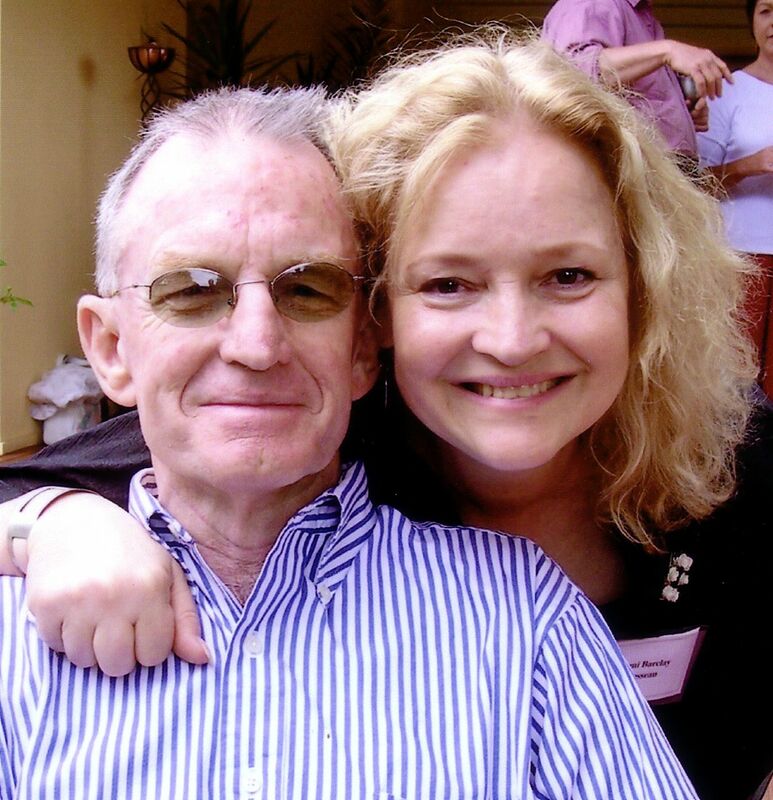 There were two sons born to the Marriage -Dally on the 4th of Feb 1938 and Ken born on the 1st December, 1940. Divorced on August 24, 1978. On November 25, 1978 @ 2 Yaralla Court, Noble Park. Connected to four stepchildren Russell, David, Melissa (b. Sept 17, 1968) and Rachel (b. March 7, 1972) I became a full time father to Melissa Eve (arrived @7 years of age), and Rachel Ann (arrived at 3 years of Age). 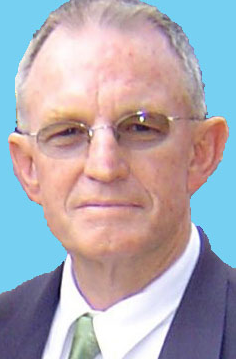 Dally divorced Marjorie on 30th November 2002.
on August 21, 2005. 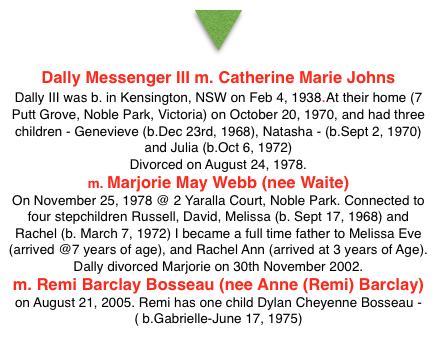 Remi had one child Dylan Cheyenne Bosseau – ( b.Gabrielle-June 17, 1975) from her previous marriage.